A government report shows the Kansas winter wheat harvest is mostly on track compared to this time a year ago. The National Agricultural Statistics Service estimated on Monday that 22 percent of the wheat in the state has been cut. That is the same progress at this point a year ago and near the 25 percent average — despite widespread rains this past week slowing harvest. Harvest activity has begun across much of the state. The exceptions are in the northwest and west-central parts of Kansas where cutting has yet to start. 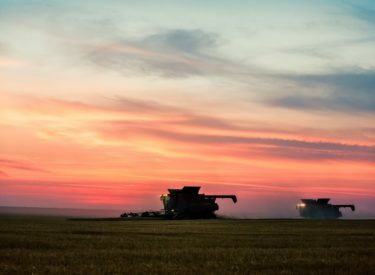 The agency reports harvest is about 48 percent finished in south-central Kansas and 62 percent completed in southeast Kansas. It is just ramping up in north-central Kansas where 7 percent of the wheat has been harvested.